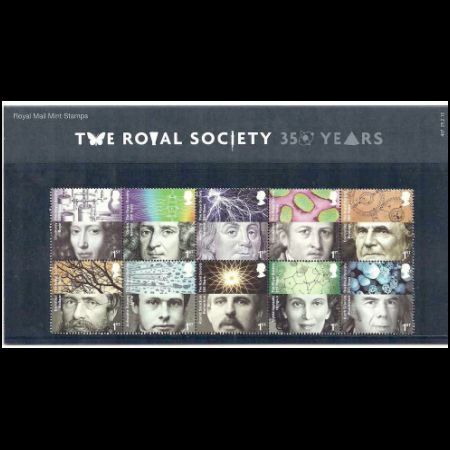 United Kingdom 2010 " 350th anniversary of The Royal Society"
This year is the 350th anniversary of The Royal Society, the worlds oldest scientific academy in continuous existence. 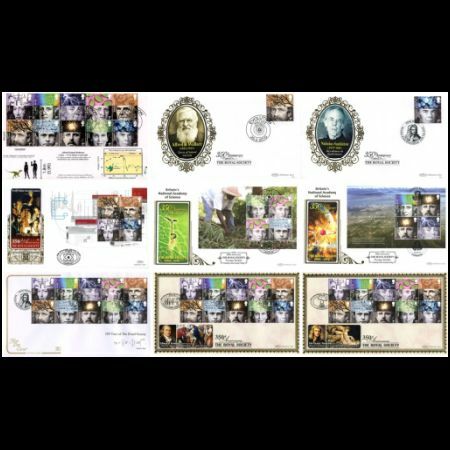 In celebration, Royal Mail has today released ten 1st class commemoratives featuring significant Royal Society figures whose portraits are paired with dramatic and colourful imagery representing their achievements. 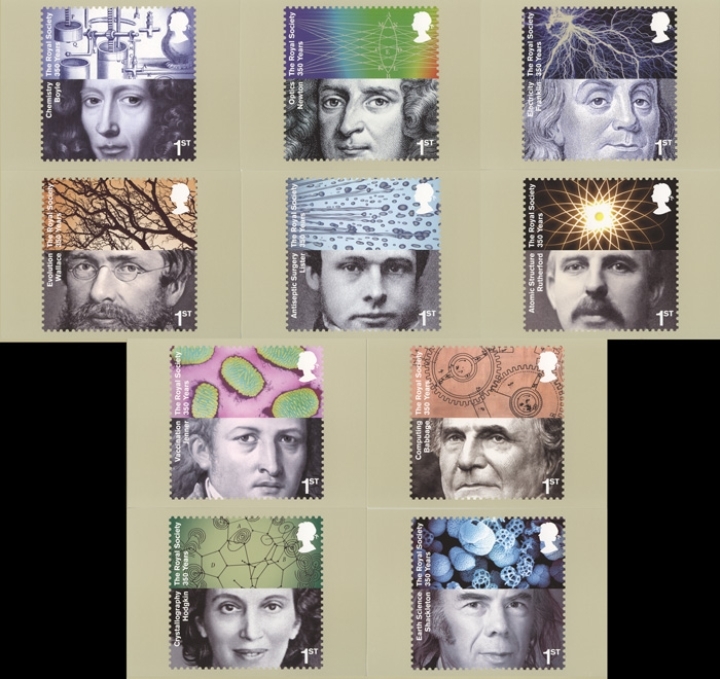 The brainstorming design was the idea of Hat-trick Design, responsible for the interlocking jigsaw approach used for the 2009 Darwin stamps. 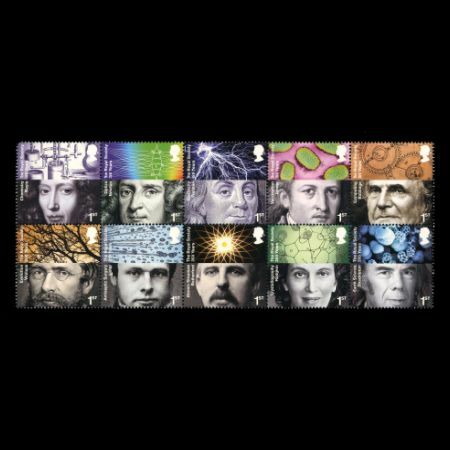 But with more than 1,400 Fellows and Foreign Members to choose from, how were ten significant scientific figures to be selected? Fittingly, it was The Royal Society itself which suggested the solution: a case of basic division. 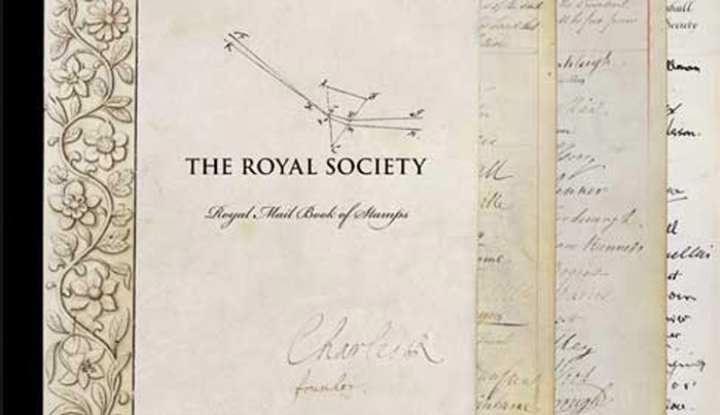 It was agreed to split the 350-year history into ten 35-year blocks in which it could be demonstrated how, through the work of its Fellows, The Royal Society has had a major impact on the World. 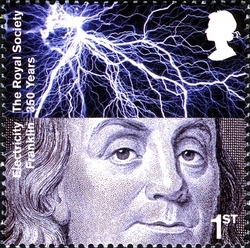 Royal Mail consulted with experts from the Society to determine the ten Fellows, and due to the global nature of the organisation, non UK citizens were included, such as one of the United States Founding Fathers, Benjamin Franklin, and the New Zealand-born physicist Ernest Rutherford. 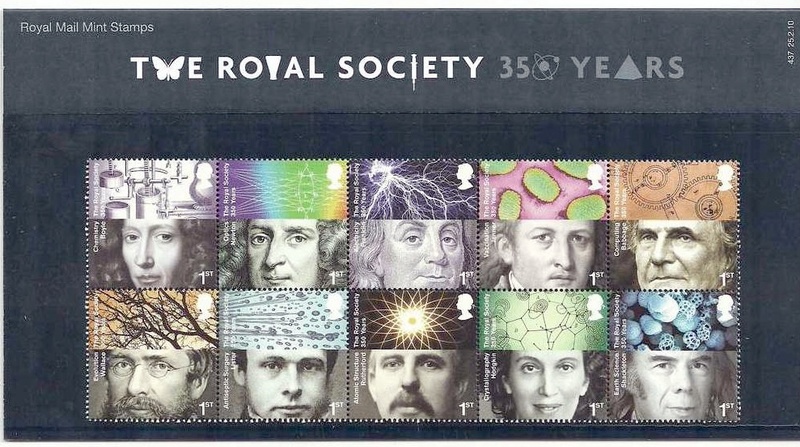 Founded in 1660, The Royal Society celebrates its 350th Anniversary in 2010 and as the National Academy of Science of the UK and the Commonwealth. It maintains its position at the forefront of inquiry and discovery, and at the cutting edge of scientific progress. 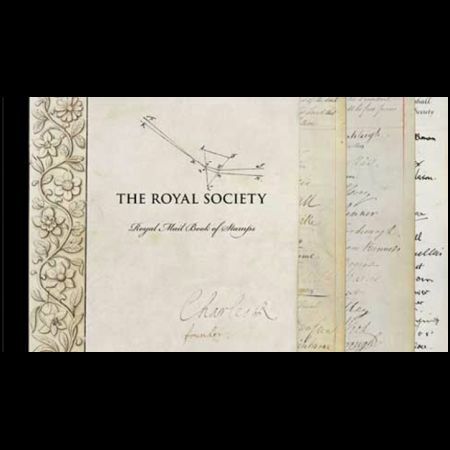 The backbone of the society, which is a charitable body, is its fellowship of the most eminent scientists of the day, and there are currently more than 60 Nobel Laureates amongst the societys Fellows and Foreign Members, of which there are more than 1,400. 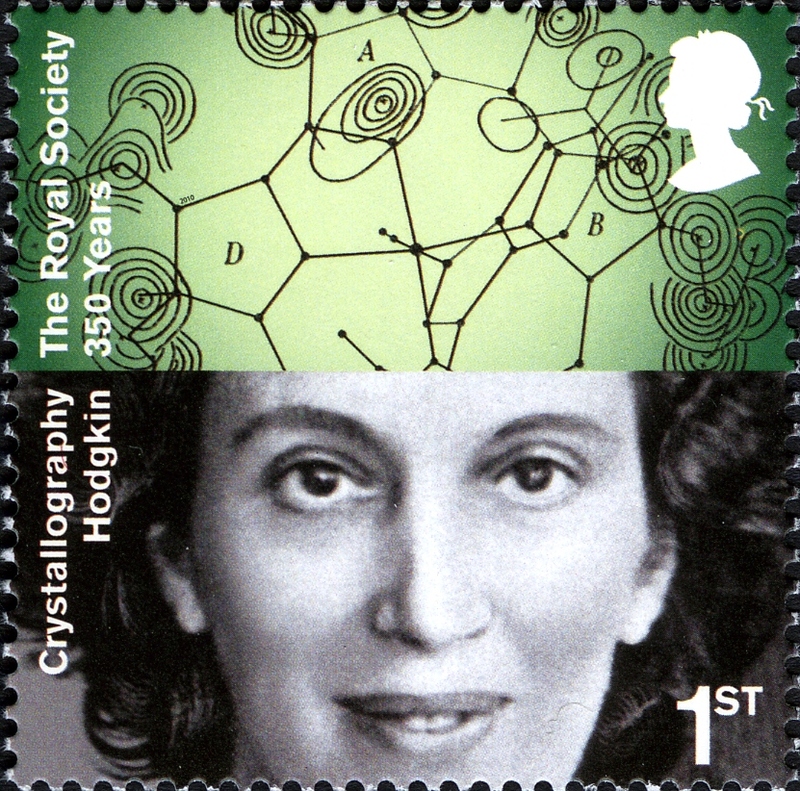 To this day, Fellowship of The Royal Society is one the greatest honours that can be conferred on any scientist. The origins of the society lie in an invisible college of natural philosophers who first met in the mid 1640s and were united by a common desire to better understand the world and the universe through observation and experimentation. This spirit of empirical observation is encapsulated in the societys Latin motto, nullius in verba, which can be roughly translated as take nobodys word for it. 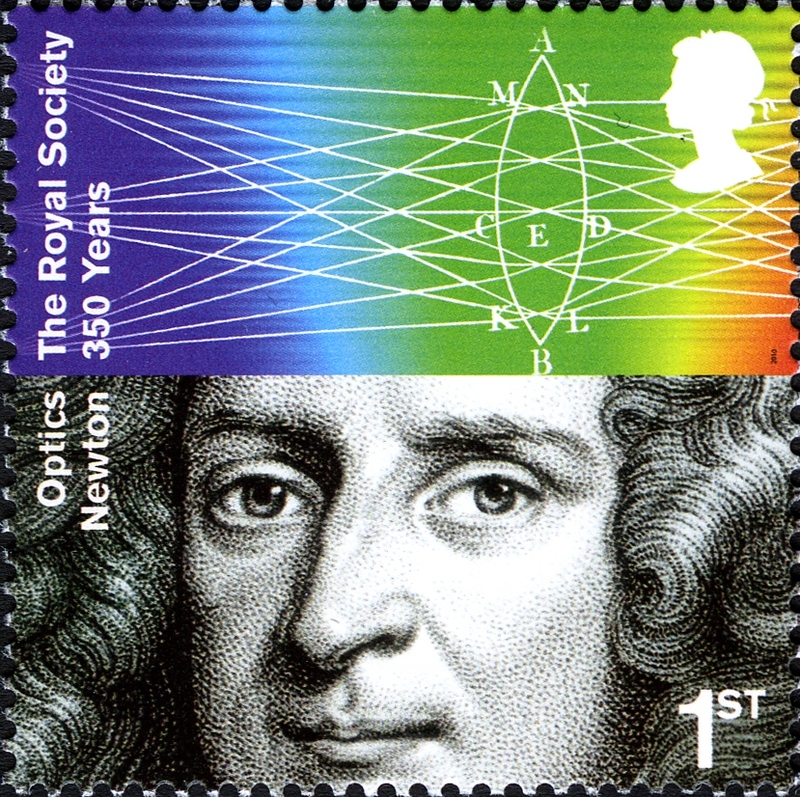 Newton (1643 1727) was an English physicist, mathematician, astronomer, natural philosopher, alchemist, and theologian who is perceived and considered by many as one of the most influential men in history. 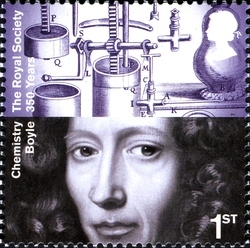 His Philosophi Naturalis Principia Mathematica, published in 1687, is by itself considered to be among the most influential books in the history of science, laying the groundwork for most of classical mechanics. In this work, Newton described universal gravitation and the three laws of motion which dominated the scientific view of the physical universe for the next three centuries. 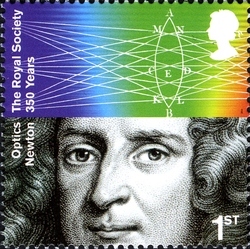 Newton was also president of The Royal Society. 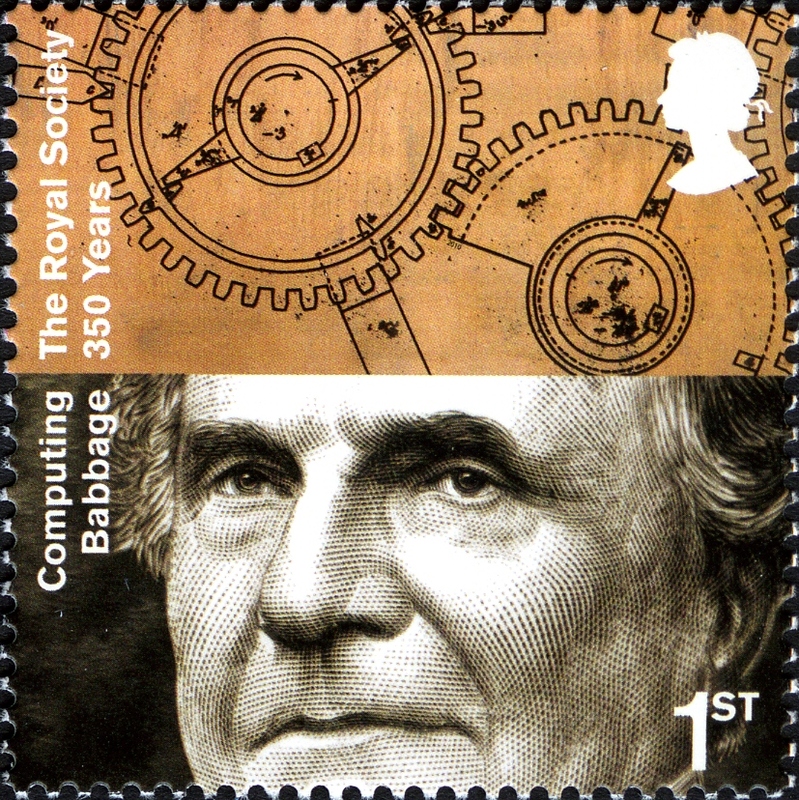 The 300th anniversary of Principia Mathematica was marked by a set of four stamps in 1987. Franklin (1706 1790) was one of the Founding Fathers of the United States of America. A noted polymath, Franklin was a leading author and printer, satirist, political theorist, politician, scientist, inventor, civic activist, statesman, soldier, and diplomat. 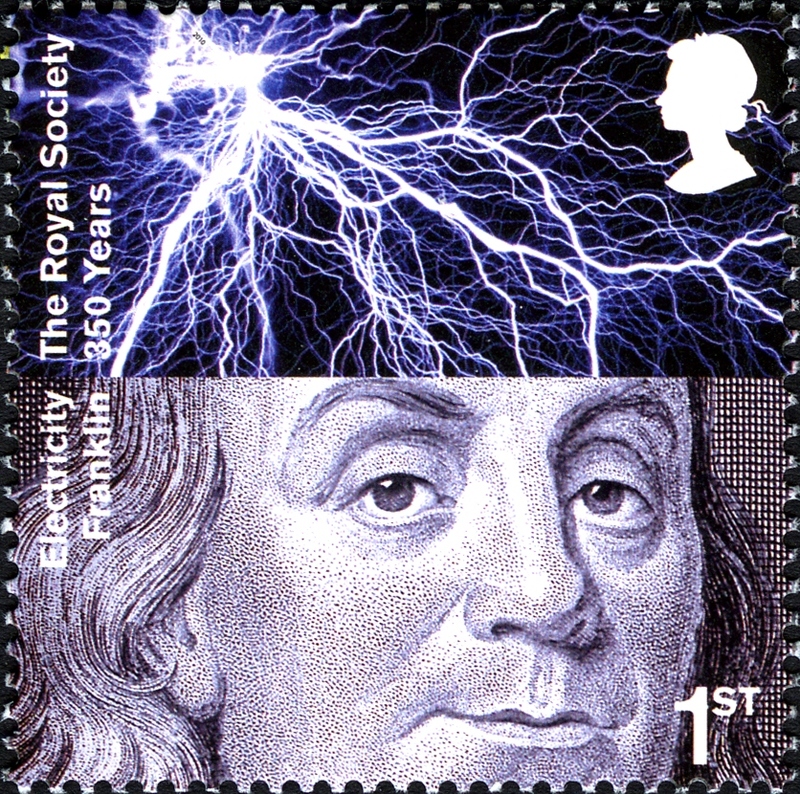 As a scientist, he was a major figure in the Enlightenment and the history of physics for his discoveries and theories regarding electricity. He was important in the development of scientific experimentation and invented the lightning rod, bifocals, the Franklin stove, a carriage odometer, and the glass armonica. Wallace (1823 1913) was a British naturalist, explorer, geographer, anthropologist and biologist. He is best known for independently proposing a theory of natural selection which prompted the joint reading of his and Charles Darwins papers on evolution in 1858, and spurred Darwin to publish his own theory the following year. Wallace did extensive fieldwork, first in the Amazon River basin and then in the Malay Archipelago, where he identified the Wallace Line that divides the Indonesian archipelago into two distinct parts, one in which animals closely related to those of Australia are common, and one in which the species are largely of Asian origin. He was considered the 19th century's leading expert on the geographical distribution of animal species and is sometimes called the "father of biogeography". 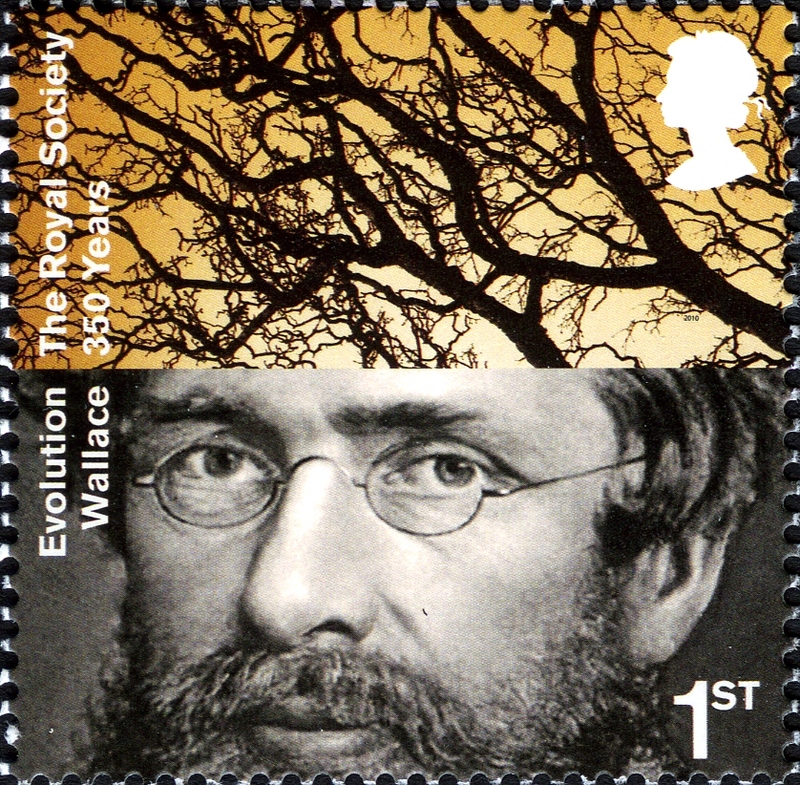 Wallace was one of the leading evolutionary thinkers of the 19th century and made a number of other contributions to the development of evolutionary theory besides being co-discoverer of natural selection. These included the concept of warning colouration in animals, and the Wallace effect, a hypothesis on how natural selection could contribute to speciation by encouraging the development of barriers against hybridization. 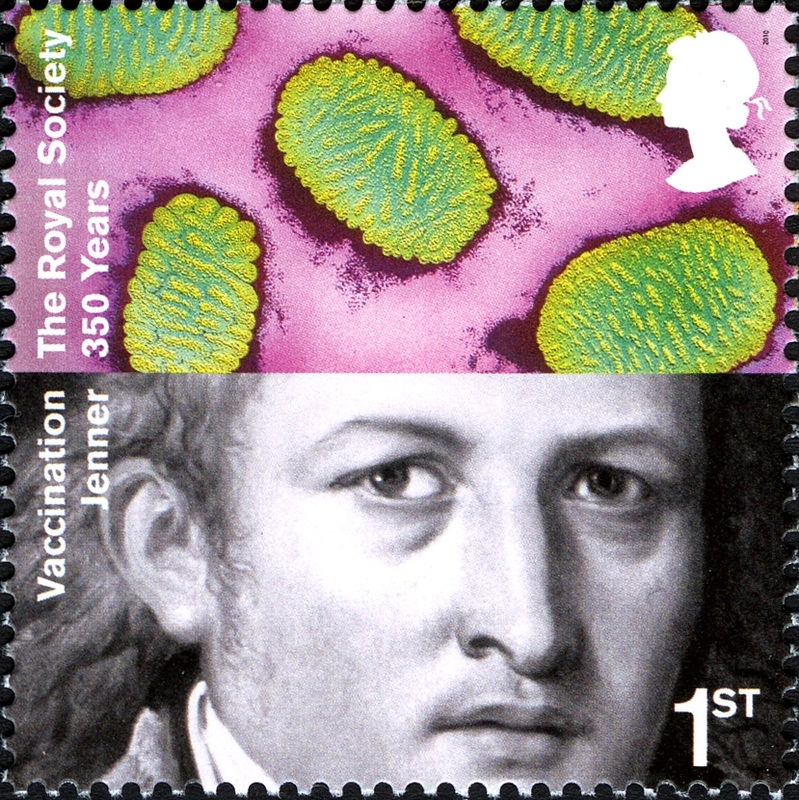 Jenner (17 May 1749 26 January 1823) is widely credited as the pioneer of smallpox vaccine, and is sometimes referred to as the Father of Immunology. Jenner observed that milkmaids rarely got smallpox and concluded that exposure to the bovine disease cowpox conferred immunity a theory he tested and proved by injecting a child with pus from cowpox blisters. 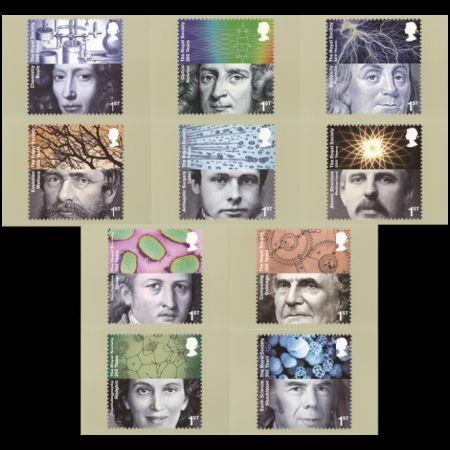 Jenners development of the smallpox vaccine was marked by a 20p stamp in the Patients Tale Millenium set in March 1999. 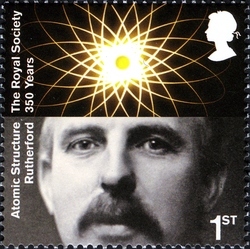 Rutherford, 1st Baron Rutherford of Nelson, (1871 1937) was a New Zealand born chemist and physicist who became known as the father of nuclear physics. 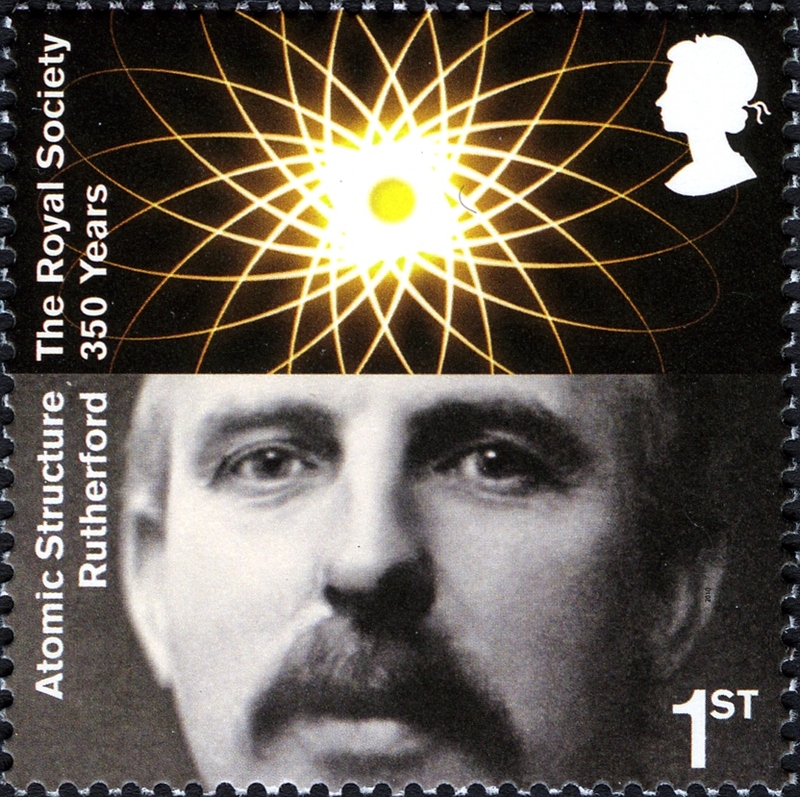 He discovered that atoms have a small charged nucleus, and thereby pioneered the Rutherford model (or planetary model, which later evolved into the Bohr model or orbital model) of the atom, through his discovery of Rutherford scattering with his gold foil experiment. He was awarded the Nobel Prize in Chemistry in 1908. He is widely credited as splitting the atom in 1917 and leading the first experiment to split the nucleus in a controlled manner by two students under his direction, John Cockcroft and Ernest Walton in 1932. He was also president of The Royal Society. Sir Nicholas John Shackleton was a British geologist and climatologist who specialised in the Quaternary Period. He was the son of the distinguished field geologist Robert Millner Shackleton and great-nephew of the explorer Ernest Shackleton. In 1967 Cambridge awarded him a PhD degree, for his thesis entitled 'The Measurement of Paleotemperatures in the Quaternary Era'. 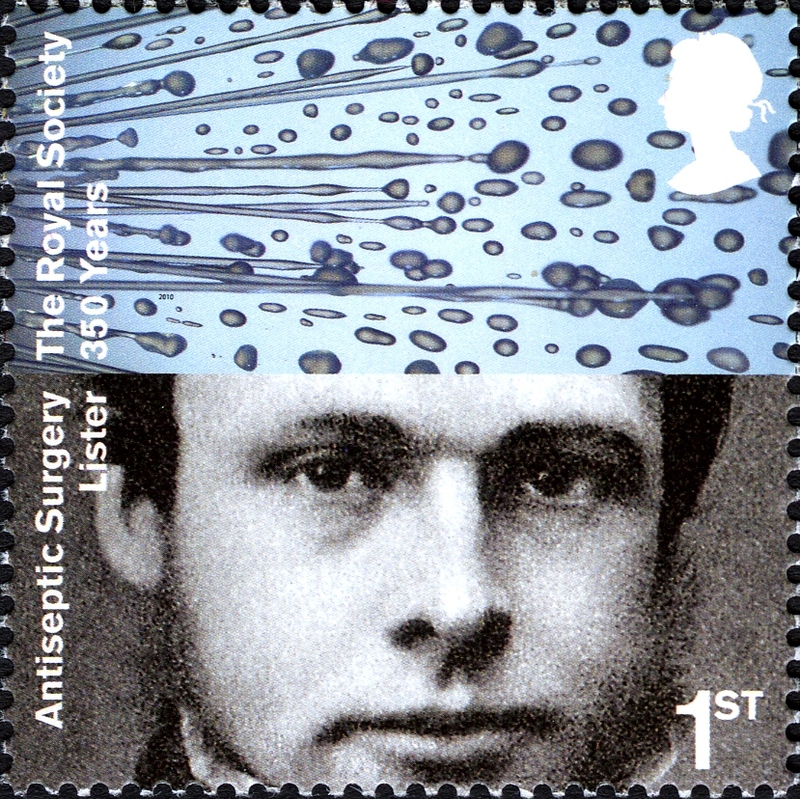 Shackleton was a key figure in the field of palaeoceanography, publishing over two hundred scientific papers. 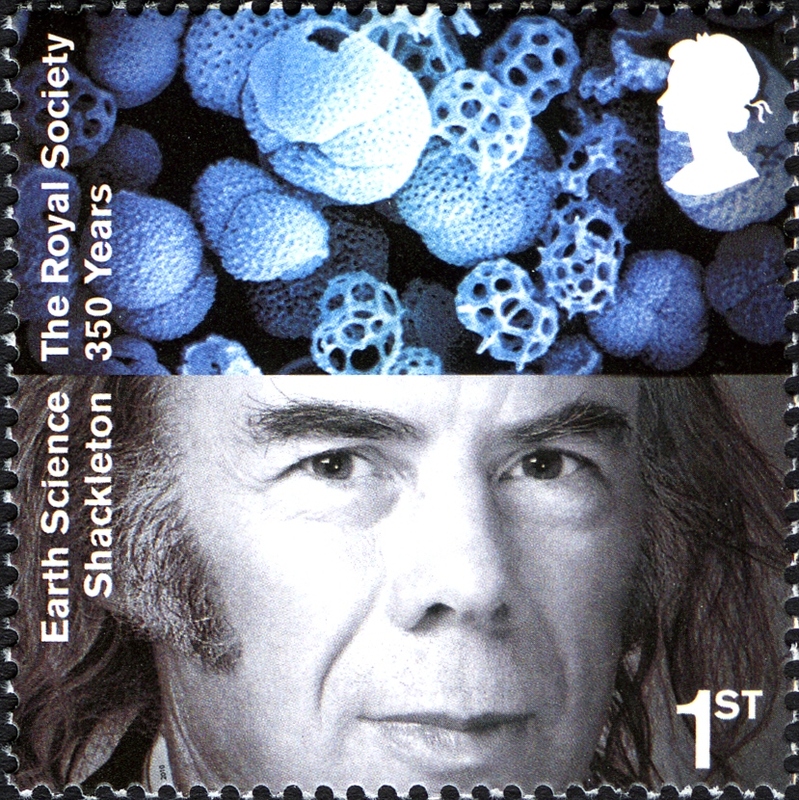 He was a pioneer in the use of mass spectrometry to determine changes in climate as recorded in the oxygen isotope composition of calcareous microfossils. He also found evidence that the Earth's last magnetic field reversal was 780,000 years ago. The First Day Cover Envelope was designed by Hat-trick Design. 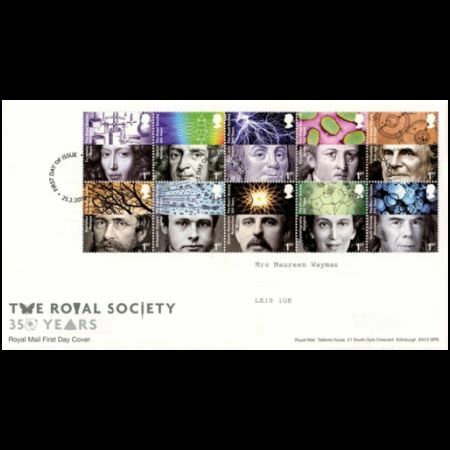 The filler card designed by Hat-trick Design contains an extract from the Royal Society's charter together with facsimile signatures of each of the individuals featured in the stamp issue. 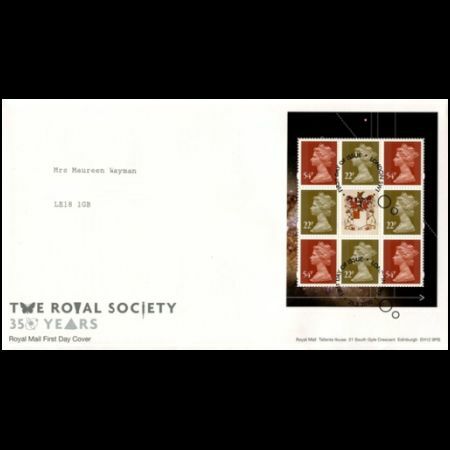 The FDC features the Royal Society FDC envelope together with the PSB Mixed Machin pane. 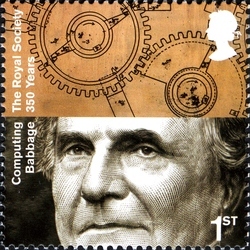 lavishly illustrated with objects from the society's archive.The book has been designed by Russell Warren-Fisher and contains four stamp panes, one of four stamps featuring two of Jenner and one each of Lister and Hodgkin, one of four featuring Boyle, Babbage, Wallace and Shackleton, another of four featuring Newton, Franklin and two of Rutherford and finally a mixed Machin pane of 4 x 54p and 4 x 22p. Ref L11640 London SW1 - "If I have seen further it is by standing on the shoulders of Giants" - Isaac Newton.